Soon after Apple launched iOS 6 last year, we blogged about iOS 6’s adoption in India and lots of people appreciated us sharing that data. Last week, when iOS 7 was launched, we immediately received requests on Twitter for a similar report on iOS 7 adoption. Yesterday, Apple announced that over 200 million iOS devices are already running iOS 7. Apple is obviously sharing a global number and we’d like to share our own data to show an approximation for how iOS 7 adoption in India is trending. 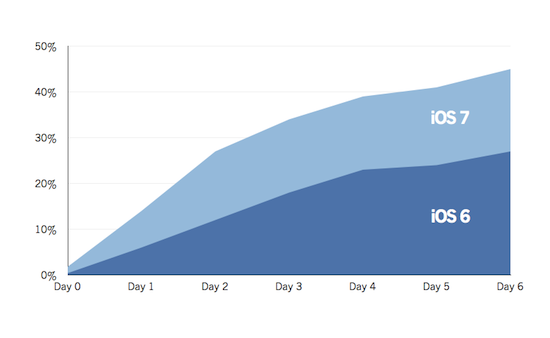 From our standpoint, the adoption rate for iOS 7 is twice as fast as the rate for iOS 6 — within less than a week iOS 7 is contributing over 45% of the iOS traffic to Cleartrip Mobile. It took over a month for iOS 6 to reach a similar level of contribution. 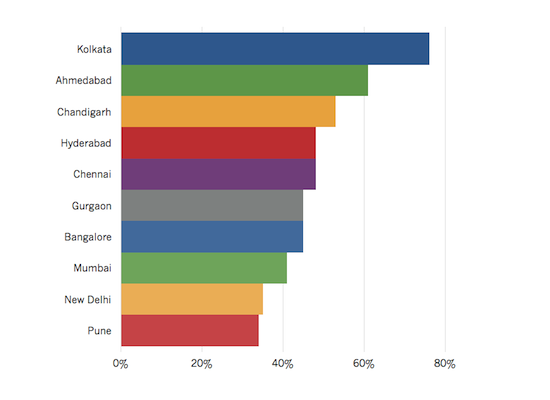 This time we’re also sharing city level data for the adoption rates to see which cities are showing the fastest iOS 7 adoption, and surprise, surprise — Kolkata and Ahmedabad top the charts.